With tons of run-off-the-mill restaurants/cafes opening up and lighting the food scene in Delhi, we stand by our futuristic observation that only those shall survive this maniac food industry who have something unique to provide to us consumers. And in comes an idea which is ready to enthrall all of us from the word go! Office Office is the relatively new swanky address in the heart of Delhi at Janpath. How ironic would it be to have lunch at a place which gives you the feeling of sitting in your office but thankfully isn't your office! The ambience is replete with old-style phone sets as tissue holders and salt and pepper shakers. We relive our account of our office-style lunch and tell you what best to order when here! If you're bored of your diet food and need a high level of zing in your life, then this is the dish to order! 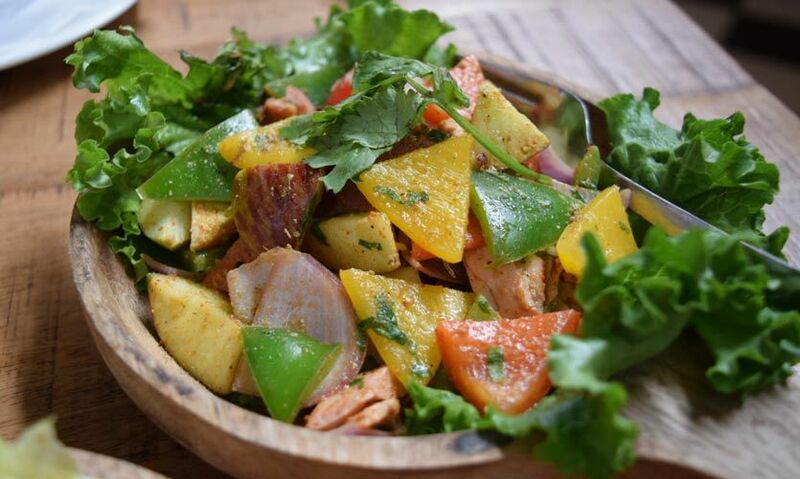 Complete with flavourful chicken tikka, apples and capsicum which when laid on a bed of lettuce, sprinkled with spices and lemon juice, was more than enough to awaken our senses. A must order for all salad lovers! We all know how Indians have fallen in love with this quintessential dish but how about when it's given an oriental twist?! 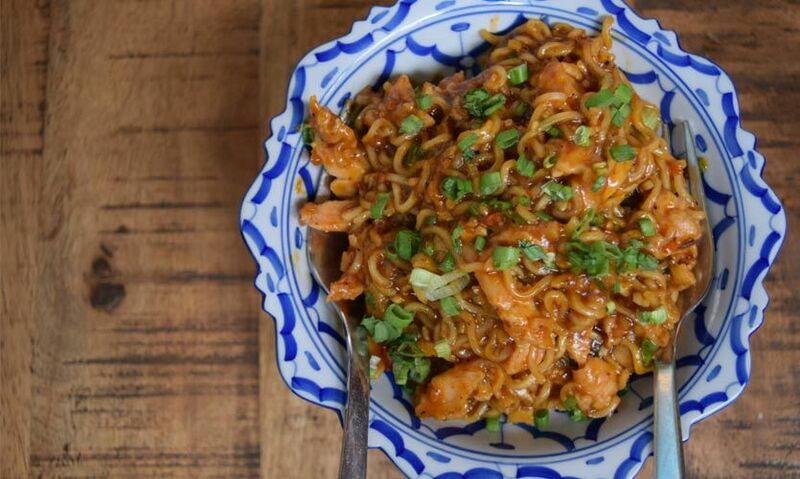 With such spicy Chinese flavours, we ended up licking the bowl clean! We bet you'd do the same - come on over and gobble up! This place seems to have mastered the art of serving Indian food with a rendition of their own. This time it was the humble aloo samosa which got slathered with layers of curd, and oodles of spicy and sweet chutneys. We are so in love with the taste of this dish that we guarantee you're bound to order it twice! 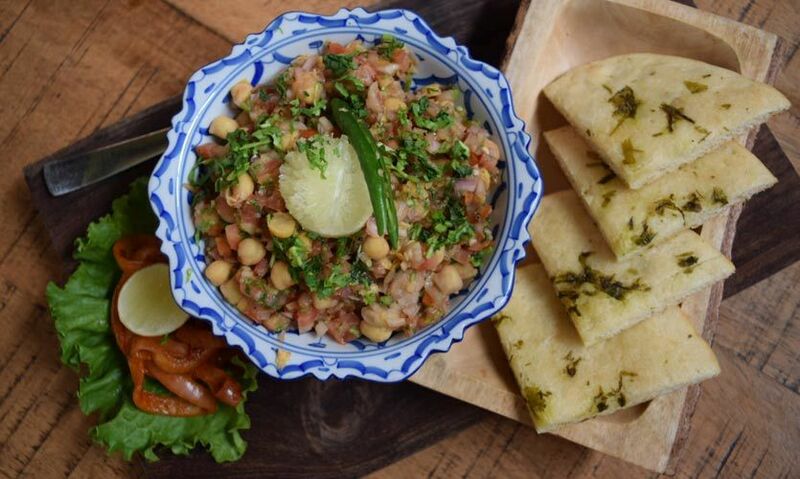 This simple Delhi street food is hard to find in restaurants, but rest assured that if they dare to put it on their menu, it surely will be one flavourful platter! 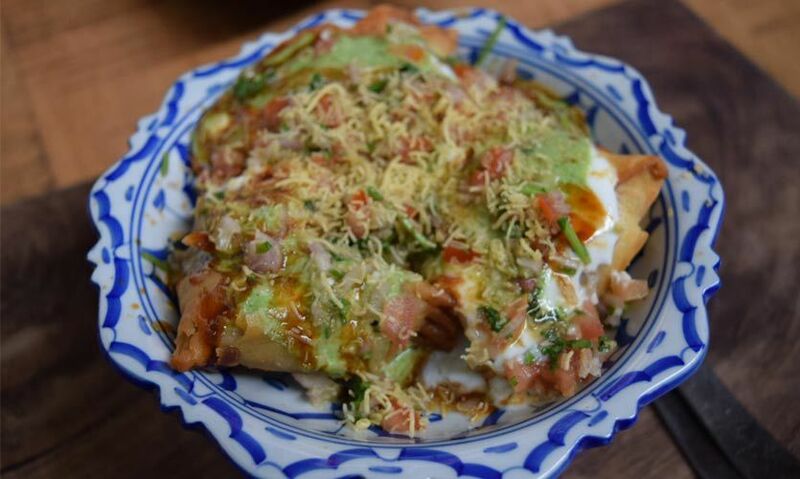 Complete with four bite sized kulchas and lip smacking chole, this dish had everything going for it. 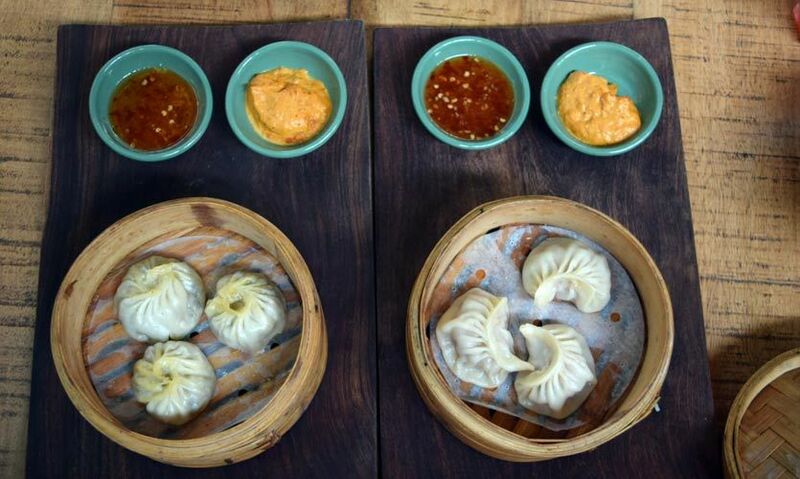 Another legendary dish and another mouthwatering preparation of dimsums by Office Office. Although the quantity is an issue, but both their vegetarian and non vegetarian variants are top notch. We loved it, and so will you! If you thought that restaurants had lost the art of making amazing mixed pizzas, then Office Office rubbishes those very rumours with aplomb. 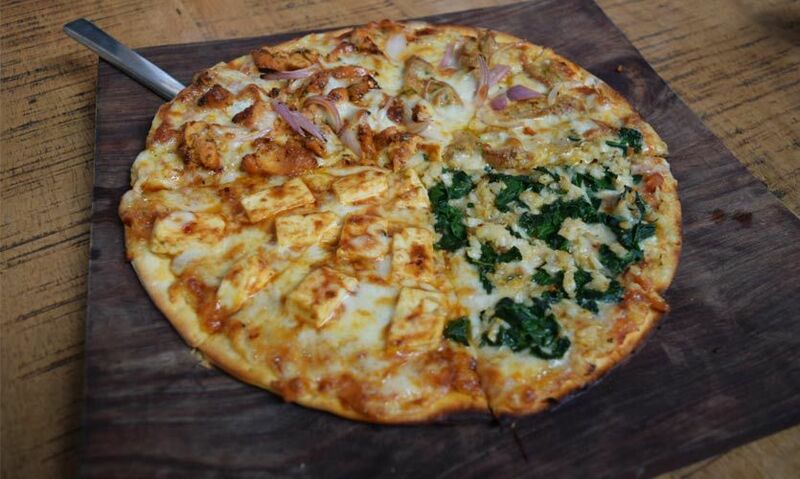 With Chicken Tikka, Chicken Kebab, Cottage Cheese and Spinach all in one pizza, we won't mind going again just for this one single dish. Thank us after you fall in love with this bad boy! This cheesecake is ample testament that this place is going to create wonders in the Janpath area! 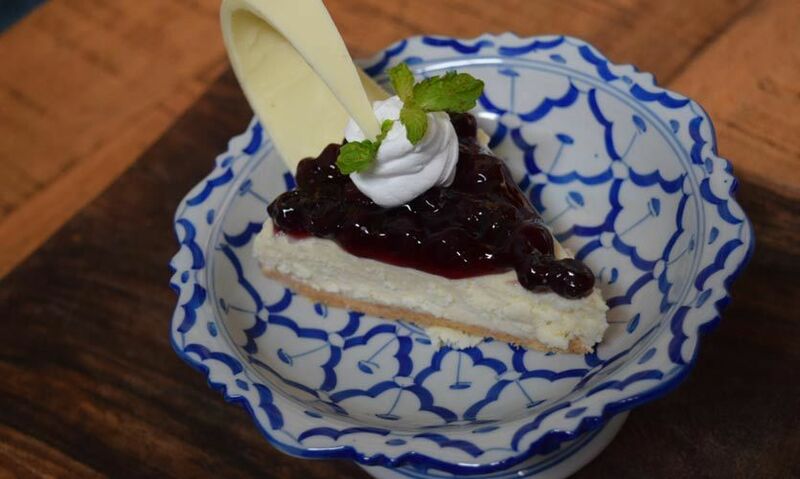 With such a moist cheesecake slice and amazingly appropriate blueberry sauce on top, we certainly recommend this dessert for all you rabid sweet tooths out there. Office Office seems to have created a niche market for themselves in this neighbourhood of shopping-crazy Delhiites. Be it their monster shakes, killer fusion mocktails, lip smacking finger food or their to-die-for desserts, we certify that this is one office you won't regret coming to!